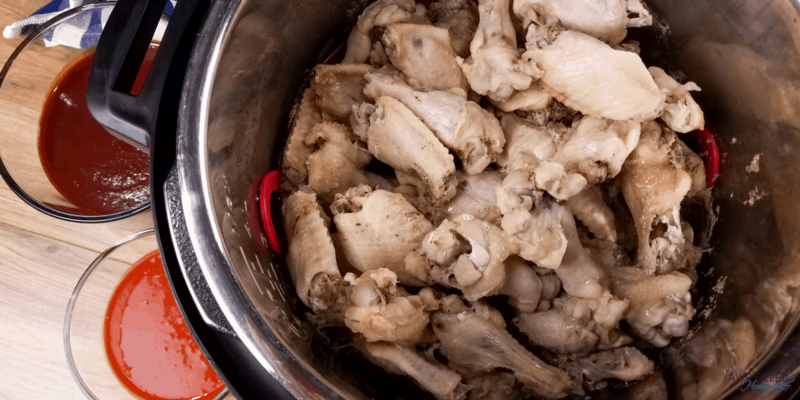 Grab a napkin and sink your teeth into these tasty Instant Pot Chicken Wings. 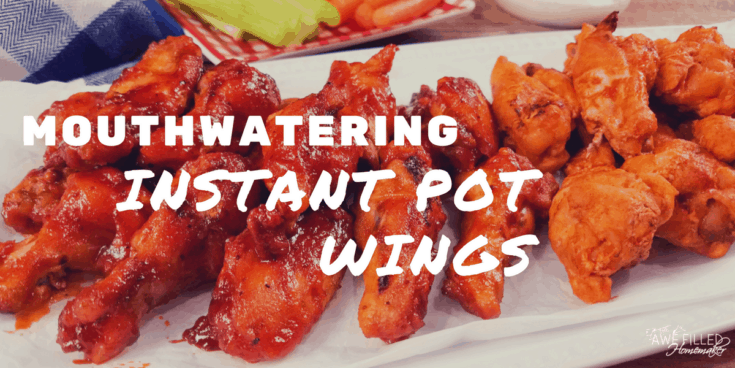 You only need a few ingredients and in no time you will be able to put these saucy wings on a platter and serve to your family or guests. 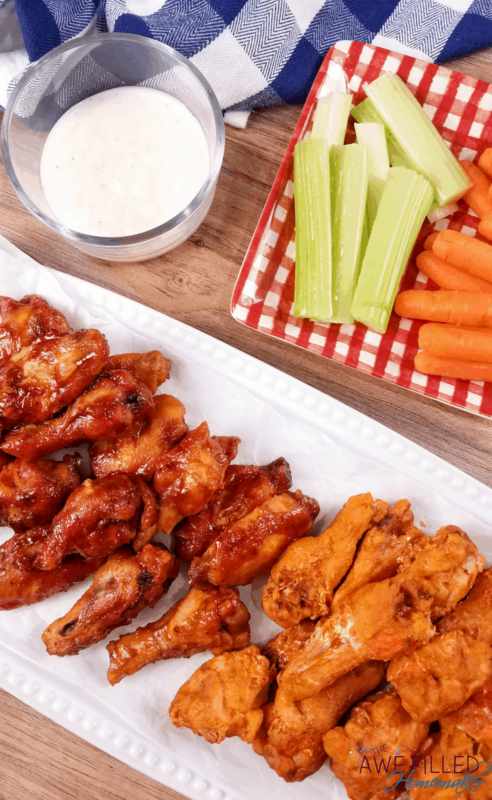 These chicken wings are great for game day entertaining or for a weeknight dinner! They are incredibly easy to prepare and equally delicious. Join: Awesome Recipes! 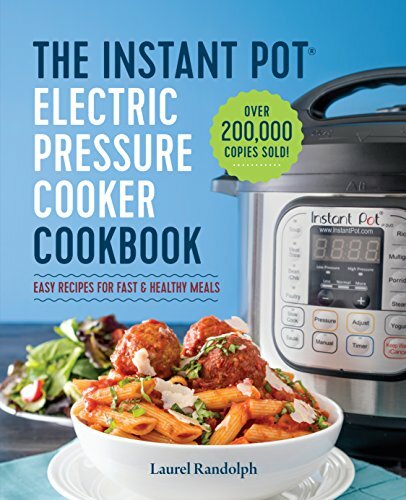 Instant Pot, Air Fryer, and More! On facebook for tons of recipes! 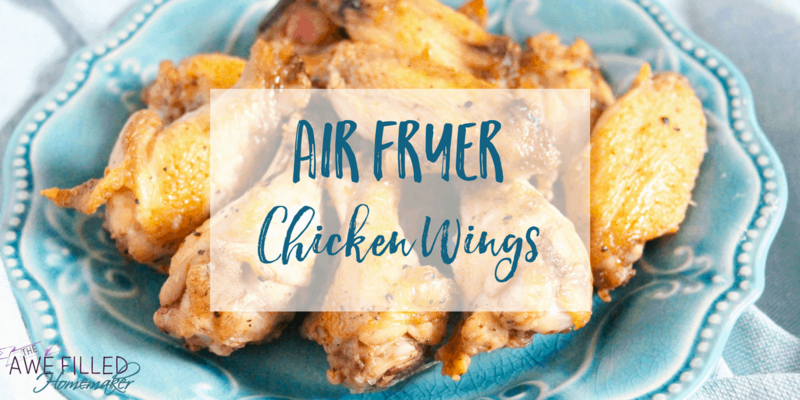 I was a little skeptical about wings in the Instant Pot, just as I was skeptical about wings in my air fryer version. I wondered if they would be too soggy, overcook or even undercook. I was worried and I put a lot of pressure on myself. My husband is a professional wing tester. He doesn’t get paid to taste wings and he doesn’t write wing reviews, but he does love his wings and he’s not afraid to critique a chef or manager of a restaurant. He’s serious about his wings! 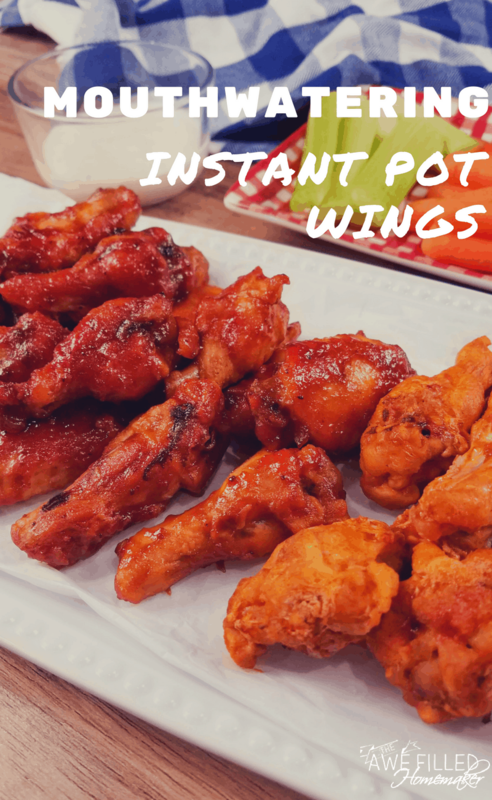 I love using the Instant Pot because it makes cooking homemade meals for my family so much easier and the recipes turn out successful each time – including wings!!! I love how easy it is to use and the versatility is phenomenal. I mean you can make chicken wings and then go and make a caramel pumpkin cheesecake using your Instant Pot! 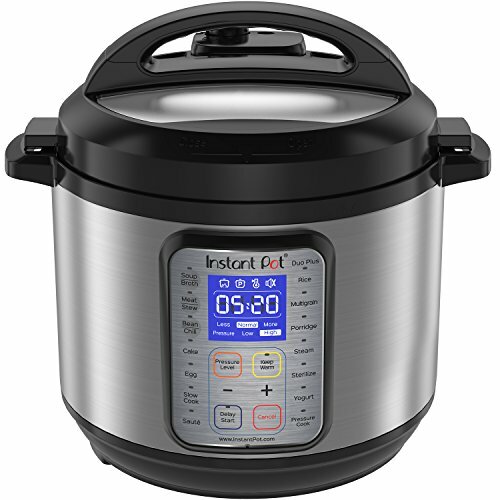 Hard-boiled eggs, rice, meat dishes, desserts galore, and so much more can be created in your Instant Pot. These chicken wings were an immediate love for our entire family the first time I made them. The beauty of this recipe is how it can be manipulated to fit your taste buds. If you want them to have some heat, spice them up by adding a few splashes of hot sauce or red pepper flakes. There an infinite number of sauces to choose from as well. 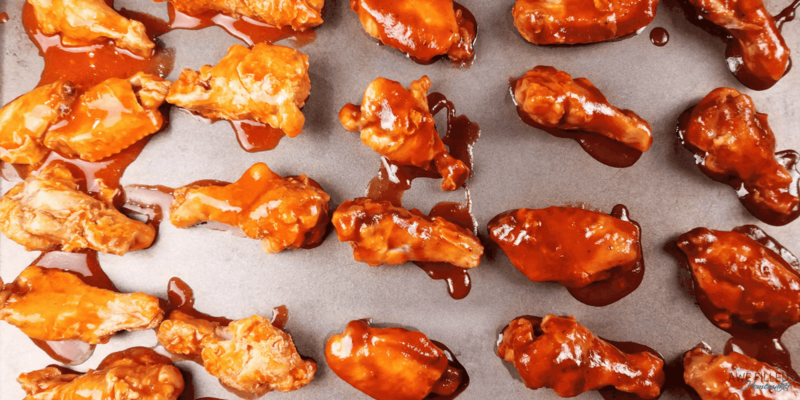 Let me know your favorite wing sauces in the comments below! I’m always looking for another sauce for my husband to try! If you are on the hunt for more tasty Instant Pot dishes, try out this Teriyaki Chicken. 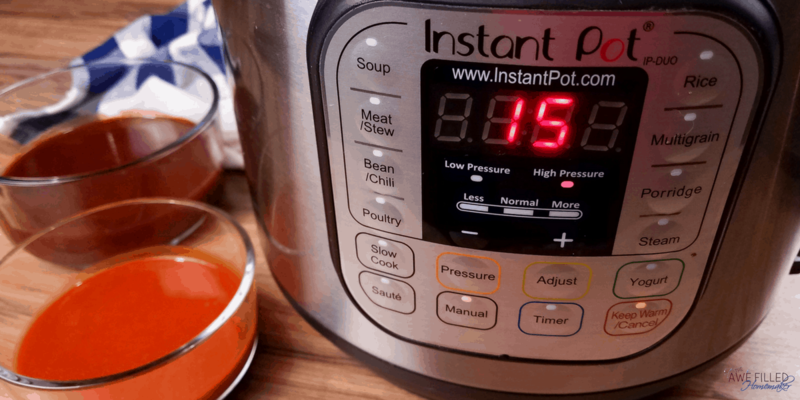 This is a must for anyone who owns an Instant Pot. 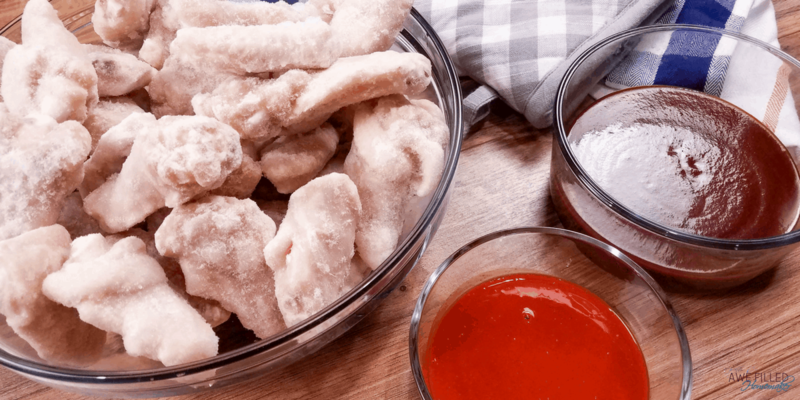 This is a flavor combination that will wow your taste buds and your kids will even love it. 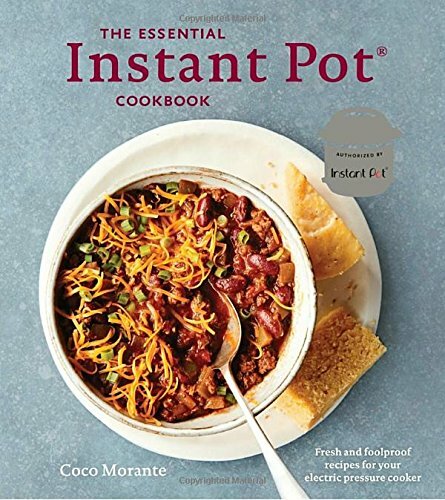 1) Add 1 cup water to the Instant Pot. 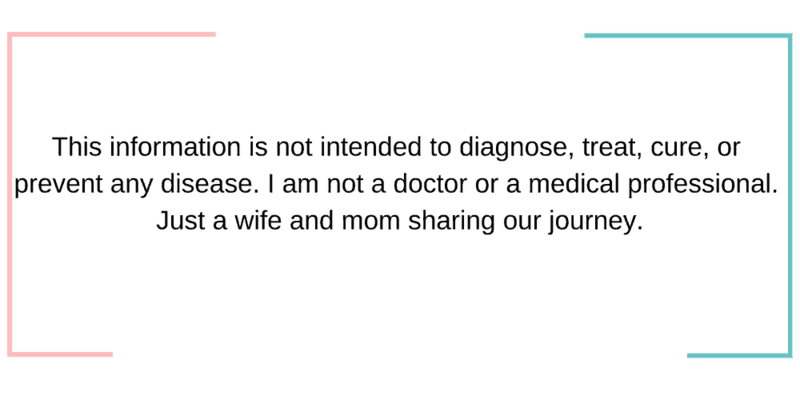 Place a steaming basket at the bottom of the Instant Pot liner. This is a similar steamer basket and it also comes in red and green. 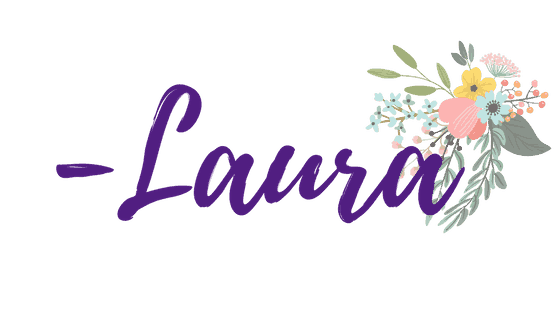 This one has longer handles which I actually think I like better! 2) Pour the frozen chicken wings into the steamer basket, it will likely fill it to the max fill line. Add the lid and turn the pressure valve to sealing. 3) Using the manual function cook on high pressure for 15 minutes. Release the pressure using the quick release function. 4) When the Instant Pot beeps that the wings are done, preheat the oven to broil. Using tongs remove the wings and dip in the BBQ and/or buffalo sauce. 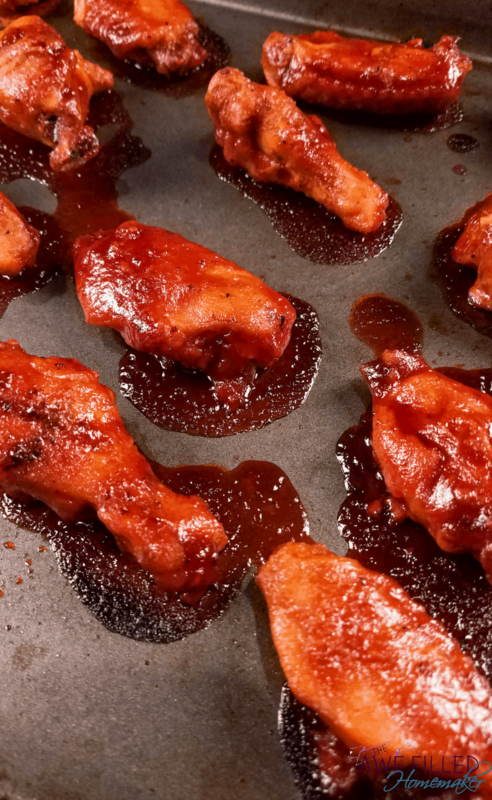 Arrange the wings on a couple of baking sheets. Broil the wings for about 5-8 minutes to thicken the sauce and make them crispy just like in my rib recipe here. Remove and devour. The wings will melt in your mouth and fall off the bone. 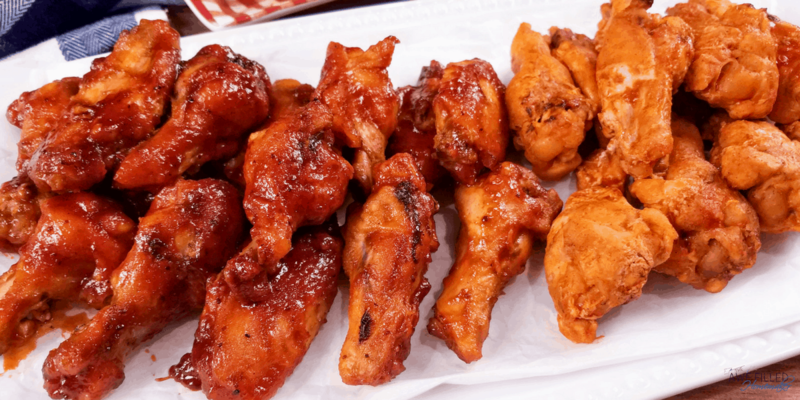 You only need a few ingredients and in no time you will be able to put these saucy wings on a platter and serve to your family or guests. Add 1 cup water to the Instant Pot. Place a steaming basket at the bottom of the Instant Pot liner. 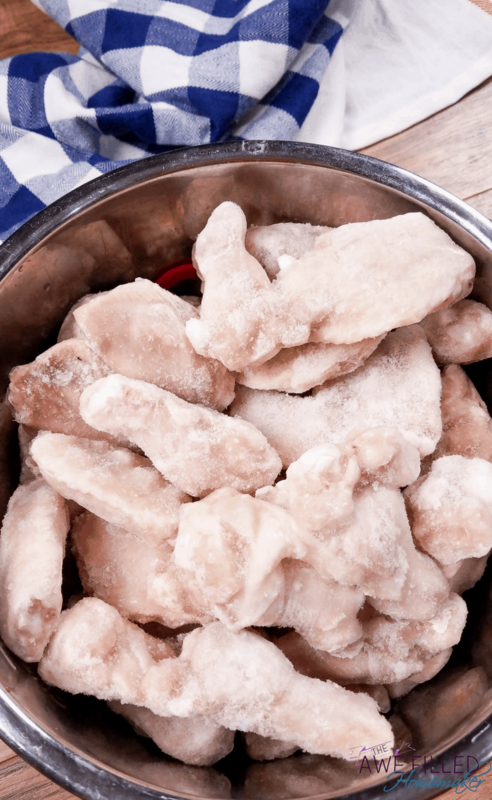 Pour the frozen chicken wings into the steamer basket, it will likely fill it to the max fill line. Add the lid and turn the pressure valve to sealing. Using the manual function cook on high pressure for 15 minutes. Release the pressure using the quick release function. When the Instant Pot beeps that the wings are done, preheat the oven to broil. Using tongs remove the wings and dip in the BBQ and/or buffalo sauce. 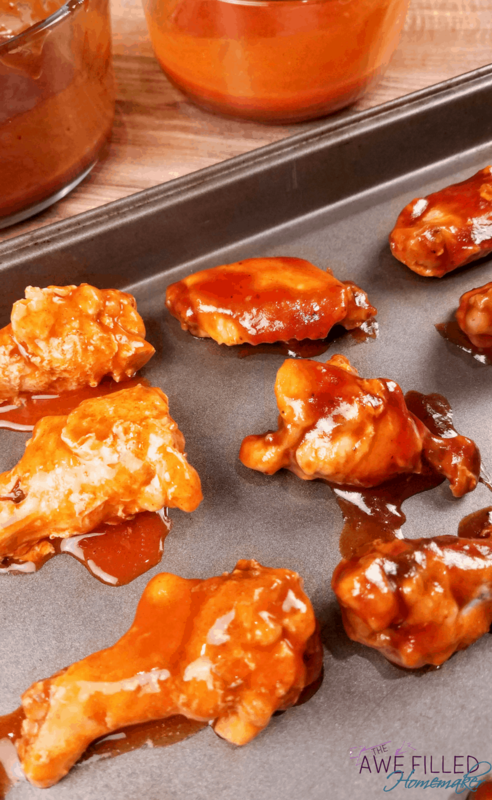 Arrange the wings on a couple baking sheets. Broil the wings for about 5-8 minutes to thicken the sauce and make them crispy. The wings will melt in your mouth and fall off the bone. How do I adjust the time if the wings aren’t frozen? Still learning how to use my Power Pressurecooker. 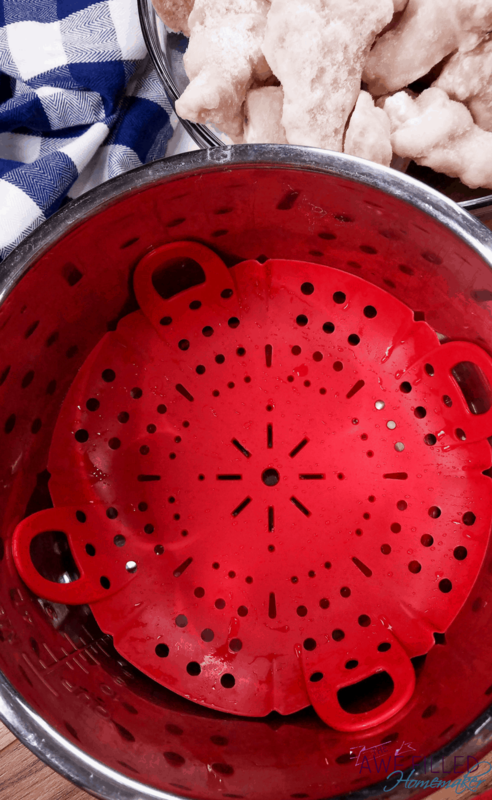 Can I use my metal steamer basket? 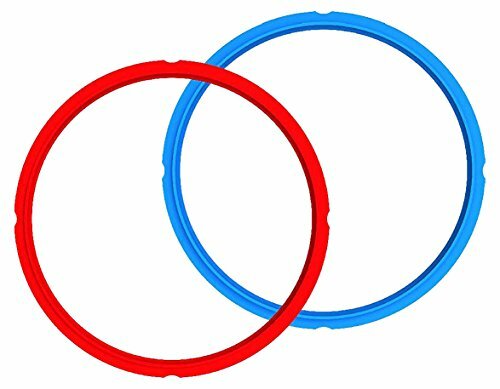 Or do I need one specifically for the instant pot?